Cabinet pulls are a great way to add your unique personality to a room or space. You can tie the whole look together with adding matching switch plates and outlet covers. When you want a unified look that still speaks volumes about your tastes and preferences, then Arnev.com is your solution. We offer a large variety of cabinet hardware, outlet covers and switches in many different colors, finishes and wood stains. 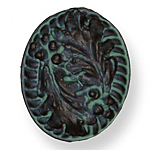 You may choose to have very simple cabinet pulls or you may want something very decorative. Maybe you prefer a bold color or a flashy finish. Whatever your needs are to complete your kitchen, bathroom or another room in the house, we have what you need and can have them delivered to your door in a timely manner. Arnie Evans founded Arnev in 1989. In 2006, Arnie's wife, Patti, became the CEO and president of Arnev Products, Inc. and has introduced many new products to our product line to be sold across the United States under the names "The Heritage Collection" and "The Big Switchover". We stand behind the quality of our workmanship and products while offering you the largest array of electrical configurations for our switches. We have also expanded to include cabinet hardware, floor boxes and even rustic home dÃ©cor. We have a passion for bringing uniqueness to your home or office and it is important to do so with consistently high quality products such as our cabinet pulls and outlet covers. We have some of the most unique cabinet hardware and switch plates. We offer such a variety of styles, sizes, colors and designs that you will no longer need to shop around looking for your perfect switch plate or hardware item to finish off your room. Whether you need a wood finish, metal finish or a marble looking finish, we have what you need. Whether you are seeking to impress guests or impressing yourself, you will see the time and attention to details we have put forth in our products. You will quickly see why our products are high in quality, yet affordable. Our products are American made with pride and Your satisfaction is our main concern and we want to be sure you are pleased with the items you purchase. We strive to bring you the best cabinet pulls, switch plates and socket tops possible without breaking your bank. Please feel free to browse our website and look at all the fabulous options you have to make your room extra special and uniquely yours. Please feel free to contact us with any questions or concerns you may have as well. We seek to exceed your expectations with quality products and customer service. We look forward to working with you and bringing you the best in switch plates, cabinet pulls and more.